Educational games for high school students provide a fun way to learn and review topics in a medium teens will enjoy. Everything from computer games to made up games engage students in creative ways encouraging joy in learning. Games using basic number or math skills are great practice for people of all ages. Classic math games include Sudoku, Yahtzee, and math board games like Monopoly. Challenge teens to think abstractly about math concepts or race for speed with these fun games. Using the Jeopardy concept of providing the answer and challenging players to find the question, this simple game can be adapted to different equation lengths and functions. Give each student a piece of paper and ask them to create an equation to solve for y. For example, students might write y = 3x+4. After they create an equation, teens create an x and y column, insert arbitrary x values and solve for y by writing the answers on the chart. Now students should tear off the part of the paper with their equation and hang onto it. Teens switch papers, which only contain the x and y chart. Each student must now try to decipher what the equation is that results in the answers on the paper in front of them. The first person to find their equation or everyone who finds it can be the winner. All you need is a computer and a printer to get a DIY game of Antiderivative Block going. In this Calculus board game two players race to answer questions and claim four squares in a row. Get a correct answer and you claim the space, but get it wrong and your opponent claims the space. Players choose between three levels of play, one finding only derivatives, one finding only antiderivatives, and one finding both. Test your knowledge of trig ratios and triangles in Trigonometry Mini Golf, an interactive online game. Under the "Use it" function, you are playing a game of miniature golf, but to get the best swing you'll need to correctly answer a trig question. Get it wrong and you'll miss on your swing; get it right and you'll increase the power of your swing. When players get an answer wrong, a pop-up box explains the question in detail with images. Get it right and you'll see a new question with another opportunity to increase your power even more. Under the "Explore it" tab, players can review the topic before playing. As a bonus for teachers, the game comes with a printable worksheet and printable explanation of learning objectives used. For a fun classroom challenge, see who can finish the course first and who gets the lowest score. High school science classes cover a wide variety of concepts so general games aren't easy to find or make. 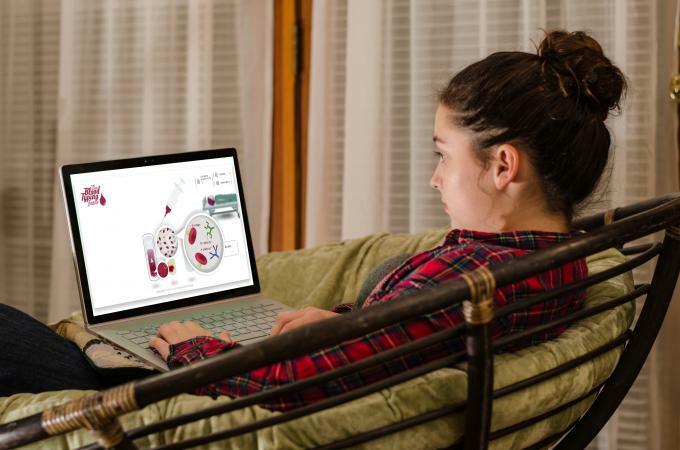 These games focus on biology concepts in ways that engage teens. In The Blood Typing Game, teens learn about different blood groups, what they look like in terms of makeup, how to decipher each one, and how blood transfusions work. This free, online game is presented by the official website of the Nobel Prize. Players choose from two quick game options or a longer mission-based option. Using simple click and drag motions players must save patients by correctly identifying blood type and giving correct blood for transfusions. Tutorials and magnified views of cartoon blood reinforce the topic. Based on the classic board game, Taboo, Science Taboo challenges students to get the class to guess a vocabulary word using only your spoken clues. The catch is you can't use any of the "taboo" words in your description. In this DIY version, each student creates a card for the game deck by writing a vocab word from your chosen topic at the top of an index card. Under this vocab word, they write five related words that become the "taboo" words. Split the groups into teams, shuffle up the cards, and see who can earn the most points by correctly guessing each described vocab word. What's great about this game is the students help make it and you can use any specific topic or larger unit of study as the basis for the game. Teens will want to make challenging "taboo" words, but they'll also have to consider they might be the ones guessing that vocab word! Test your knowledge of physics with a fun graphing challenge using position, velocity, and acceleration in Super Ultimate Graphing Challenge. Unlock more than fifty levels in three different worlds as you try to match the demonstrated movement of an orange slice. Using sliding scales players set initial position, velocity, and acceleration to mimic the graph for each round. Master one level to move onto the next more difficult level. Teachers can also print out the four companion worksheets. 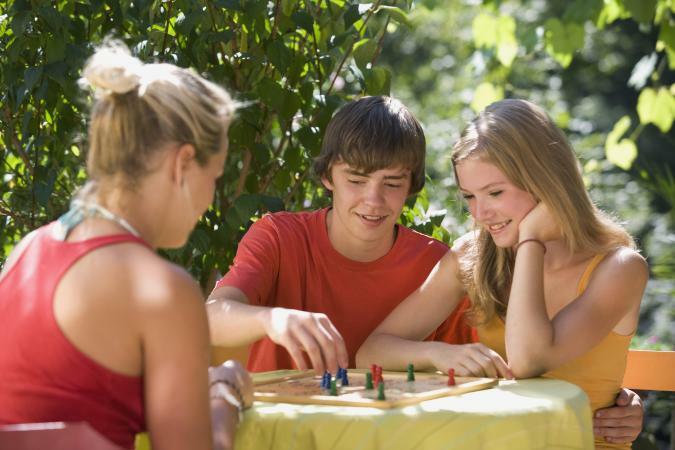 Teens can work on building vocabulary and abstract thinking skills with word games. Classics like Scrabble, crossword puzzles, and story cubes are great for all ages. But, these games are best for older players. Reinforce vocabulary, deductive skills, and enjoy some wordplay in Anagramania Intermediate Edition. 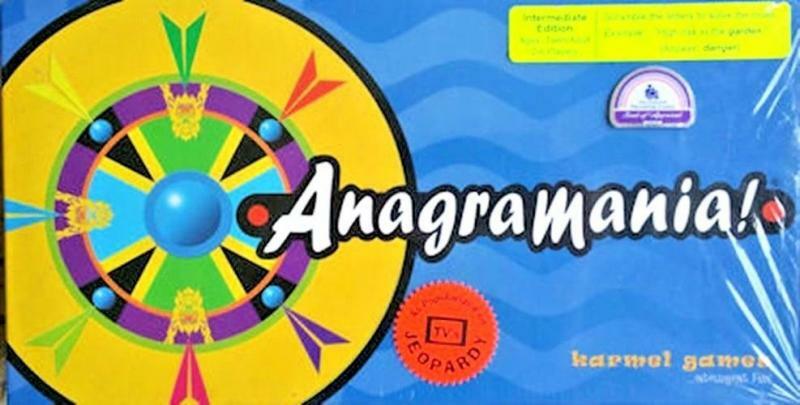 This board game for 2-6 teens pits players in a race to unscramble keywords within a clue. Each player gets a clue with one word in bold letters. Players have to unscramble the letters to find the answer to the clue. Those who decipher the answers fastest will reach the center of the game board first and win. In Shakespeare, the board game, you are a theater manager competing against other managers to put on the best play for the queen. You have only six days to put together a show with actors, costumes, and rehearsals and you'll earn points based on your decisions. The player with the most points, in the end, is the winner. This fun board game tasks teens with understanding the complexity of a play and how important each element is in the bigger pictures. Shakespeare is made for 1-4 players allowing individual play, use in small groups, or use by teams. Practice vocab skills with SAT Vocabulary Matching Game. The concept is simple, choose a vocabulary set then match the words to their definitions. Six definitions appear on the left side of the screen and six words on the right side of the screen. Click and drag the words to match their definition. Get the answer wrong and you'll hear a loud buzzer. Get the answer right and you hear an upbeat tone. Try to get through all ten levels with the highest score based on your ability to guess correctly the first time, every time. Make this basic matching game more exciting by awarding prizes for top scores or adding a timer to turn it into a race. From world history to geography, teens will love these action-packed games related to all things social studies. Use games to review, reinforce, or teach concepts. If you want an immersive experience in real-world politics, this simulated game is a great option. For around $25 you can buy Democracy 3 to download and play. This virtual country includes simulations of a variety of voters and national issues. As the leader of this fictional country, watch how your decisions affect the people and other areas of life. Because of some topics discussed and complex political relationships, this game is recommended for grades 9-12. In this free, online game you are challenged to redistrict states based on factors like population equality and political party suggestions. The Redistricting Game offers five distinct missions, each with a basic or advanced option for gameplay. Players choose a mission and difficulty level, their political party, and how to redraw congressional district lines. After drawing your map you can get feedback then submit your new district map for approval. In this strategic card game players are monarchs racing against each other to control lands and build empires. Dominion takes about a half-hour or more to play with groups of 2-4 players. Teens will learn about how to build a civilization and which factors are most important. With ten expansion packs available, gameplay is infinite and stretches to include groups of more than four players. Games provide an opportunity to pair fun with learning. Educational games help teach or review concepts and standards, but they also encourage creativity and build relationships. Whether playing board, card, or DIY games teens can have fun in school or at home with games related to high school curriculum.